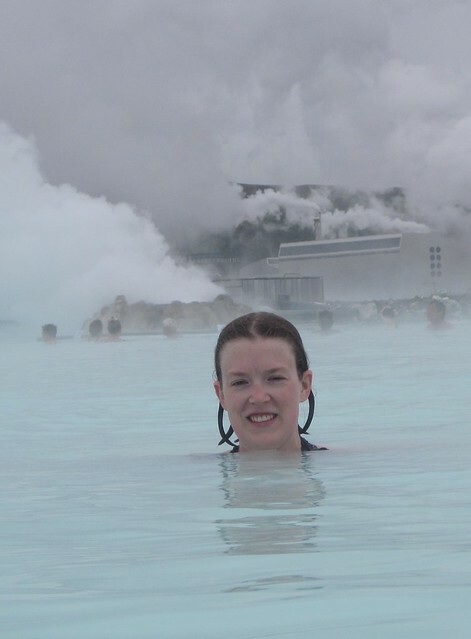 When my husband and I were planning our recent trip to Iceland, we wanted to make sure that we set aside some time to spend at The Blue Lagoon. Even though it is the most visited tourist destination in Iceland, and from what I read during my trip research, Icelanders don't really go there, it was something we were both dying to experience. But you know what? Sometimes places that are deemed as tourist traps are still worth your time. And The Blue Lagoon was one of those places. I know that an unwritten rule of calling yourself a world traveler is to avoid the places where all the tourists go, but sometimes you've just gotta follow the crowds. 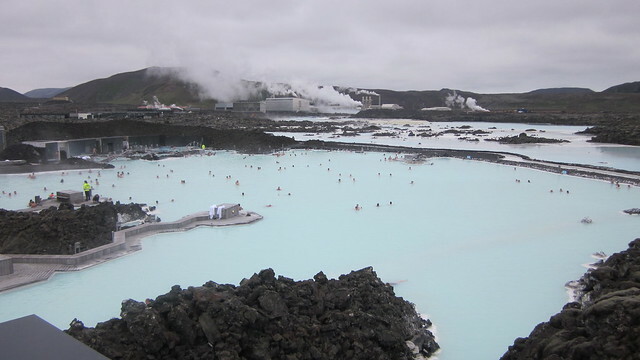 Hey, if Anthony Bourdain, who on his first season of No Reservations said "be a traveler, not a tourist," went to the Blue Lagoon when he was in Iceland, then I think everyone should go there, whether you're a traveler or tourist. 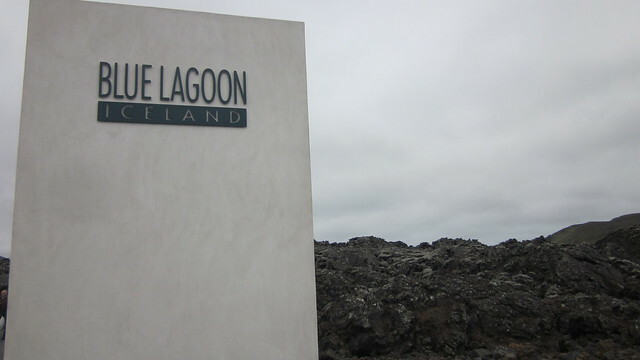 We spent about 3 hours at The Blue Lagoon on a cold, gray day and it was by far one of my favorite moments of our trip, mainly because the water was so warm, and the weather in Iceland during our entire trip was in the low 50s/high 40s and windy. 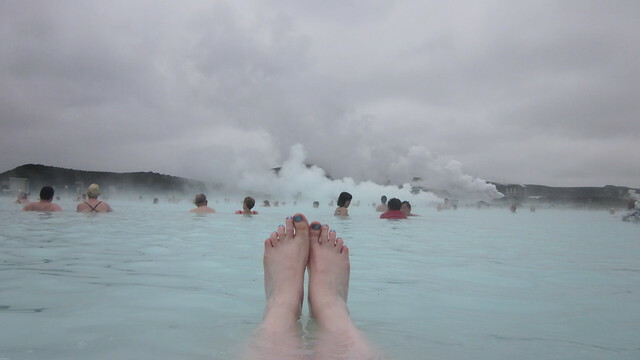 So The Blue Lagoon was the warmest I felt the entire week. And it was during my time there that I realized why I tend not to spend a lot of time in pools: because I'm always cold and the water in pools isn't 102 degrees Fahrenheit, that's why! So if you ever take a trip to Iceland, ignore what people tell you about skipping The Blue Lagoon because it's a tourist trap. Sometimes you just need to follow the crowd. And honestly, Iceland is still kind of off the tourist radar anyway so tourist trap here does not equate to tourist trap in, say, Italy or France. There are plenty of other opportunities in a country of only 320,000 people to find off the beaten path places (which I'll talk about in another post). You can go to one place where there are a lot of tourists and I promise you won't regret it. WOW. Beautiful pictures. I definitely want to visit someday soon.